Our Dogs develop an ability to respond on cue when we have taught them what each of the cues mean. 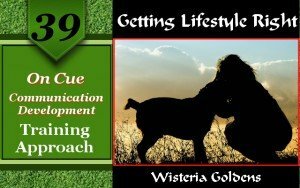 Dog training would be better referred to as Communication Training as the quality of the relationship and communication skills we have with our dogs becomes most evident when we are attempting to direct them. Scenario: You have been watching your dog playing for awhile, but, now she is lying down. Depending on the level of your dog’s training one of the following examples would be your immediate response. It is important to know the cues you will be using for each desired behavior. When you know them then you can gradually communicate them with your dog by watching for opportunities to teach. Explore our training guides and use this approach. Rather than show your dog what you want, watch for what you want to happen, and then provide the cue correlating with the behaviors immediately as they happen. You will find your dog is motivated to learn. Think things through: Today you may celebrate your puppy has come to you when you arrive home, and he has jumped up on you to say hello. His front paws are just above your ankles now, but, in a few months that same behavior may knock you off balance. How can we help you provide quality information about health, training, and lifestyle? 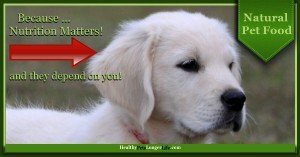 We love to provide information to our families to support and increase optimal health of their puppies, as well as into adulthood increasing the longevity of their life! The brand you feed is the most important decision you can make as a pet parent.